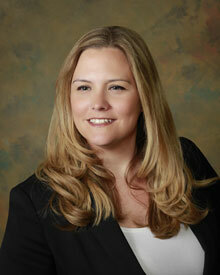 Jessica Lynn Harlow joined Mitchell Gallagher in May of 2012. She is concentrating her practice in the defense of civil litigation and worker's compensation claims. She became a Shareholder in 2018. Ms. Harlow came to Mitchell Gallagher from a successful clerkship with the Honorable Charles H. Saylor, of the Northumberland County Court of Common Pleas. She had extensive experience in civil cases as Judge Saylor had a substantial, civil caseload. While serving as Judge Saylor's clerk, she also served as a special master in family law and juvenile dependency matters. She was instrumental in the implementation of a Veterans Treatment Court in Northumberland County. Ms. Harlow also served as a co-chair for the Inaugural Adoption Day Committee as well as a member of the DUI, Behavioral Health and Veterans Treatment Court teams. Ms. Harlow is admitted to practice law in all Pennsylvania courts, as well as before the United States Patent and Trademark Office, and she is a member of the Pennsylvania Bar Association, the Lycoming Law Association and the Northumberland County Bar Association. In January 2018, she was elected to the Executive Committee of the Association, and she also serves as Chari of the Social Committee.